Jared Larson started at Waterville-Elysian-Morristown Schools in 2013. He conducts the High School Symphonic Band, High School Jazz Band, High School Marching Band, the Junior High Concert Band, the 6th Grade Band, and also the 5th Grade Beginning Band. Prior to WEM, Larson taught in Hopkins, MN; Park Rapids, MN; and Granda Marais, MN. Larson earned a bachelor's degree in Instrumental and Classroom Music from Bemidji State University with an emphasis on saxophone in 2004. While in school, he went on numerous tours with the symphonic band as well as the jazz band. His favorite memory of performing is playing on Prairie Home Companion when the show was in Bemidji. 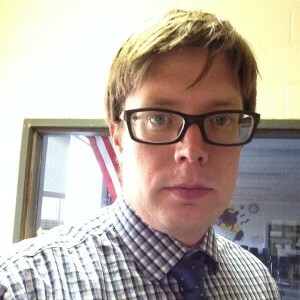 Larson is also an active member of the Minnesota Music Educators Association.